This is the last of four illustrated descriptions of the new and exciting products seen at CanJam NYC 2018. NAD is the sister brand to PSB, so with the advent of a new PSB flagship headphone—namely the M4U8 model described below—it was inevitable that there would also be a new NAD sibling model: the HP70 ($399). It’s tempting to think that NAD’s HP70 is essentially a PSB M4U8 in different livery, but that isn’t strictly the case. According to designer Paul Barton, the NAD model offers very slightly different voicing to the M4U8, with the PSB headphone offering dead neutral voicing and the NAD offering an extremely subtle hint of added top-end ‘sparkle’. One other difference is that the HP70 and M4U8 use different automatic noise cancellation devices and schema, though both are quite effective. 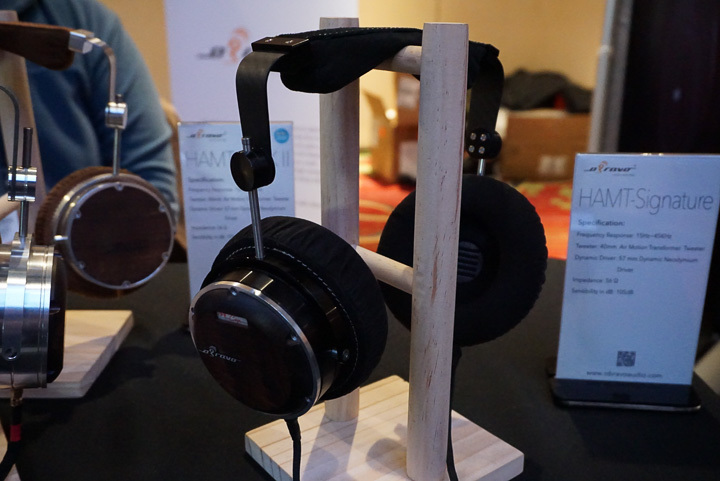 The Taiwanese headphone and earphone specialist oBravo introduced a slew of new models at CanJam NYC. 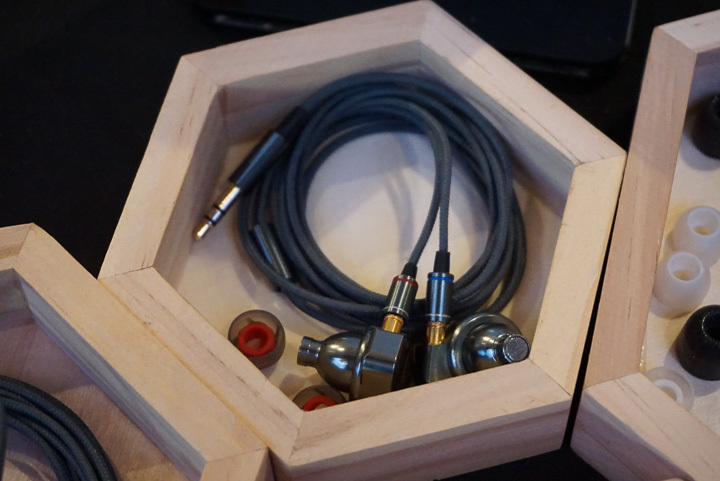 Among these were four variants on the firm’s exotic hybrid eamt-O (“Ra”) earphones: models included the Ra A ($6,400), the Ra W ($6,600), the Ra C ($6,800), and the Ra Cu ($10,000). There will also be a Ra Ti model. The Ra models share certain design features in common, including an exceedingly tiny 8mm Heil AMT-type driver (the smallest Heil driver we have ever seen) used in concert with a 16mm dynamic driver. Impedance ratings for the Ra models are 182 Ohms while sensitivity is specified at 105dB. Differences between the Ra models involve materials used in the earpiece housings themselves, with the more difficult-to-machine materials commanding higher prices. 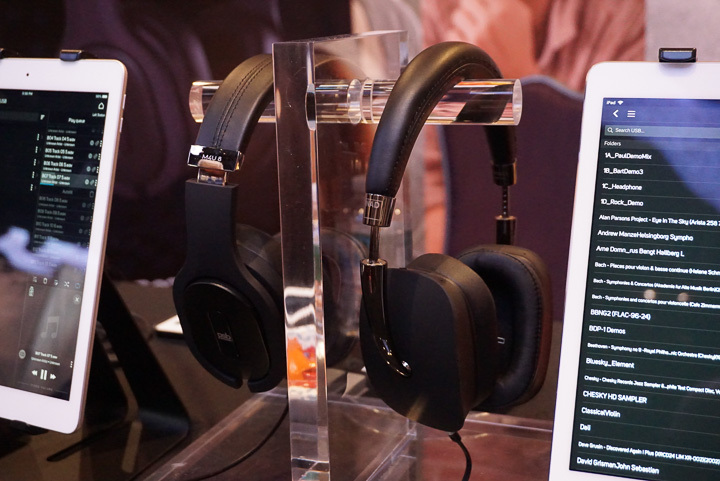 Alongside these exotic and costly earphones, oBravo also announced new versions of its original HAMT-series headphones, starting with an updated HAMT-1 Mk II headphone ($1,900) and the even higher performance HAMT-Plus ($3,900). At the to of the range is a new HAMT Signature model (56 Ohms, 105dB sensitivity, 40mm Heil AMT-type driver, 57mm dynamic driver, $6000). 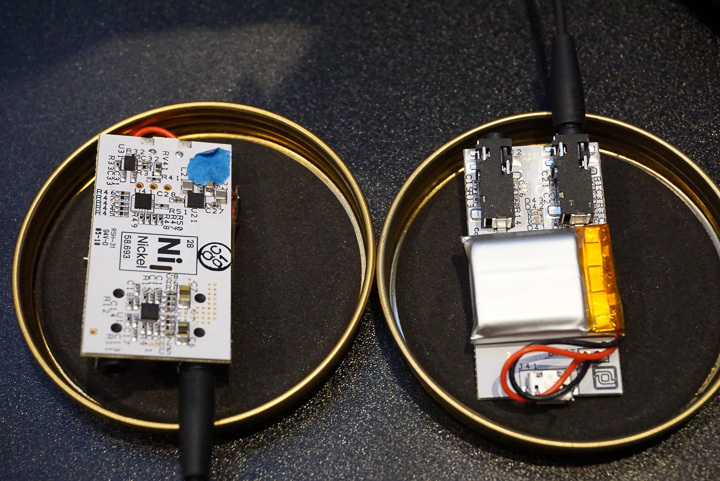 The up-and-coming earphone manufacturer Periodic Audio showed a prototype of its upcoming Nickel portable headphone amplifier (projected price $299), which provides 250mW @ 32Ohms of power output, playing time of 10-12 hours, and very quick 20-minute recharge time. 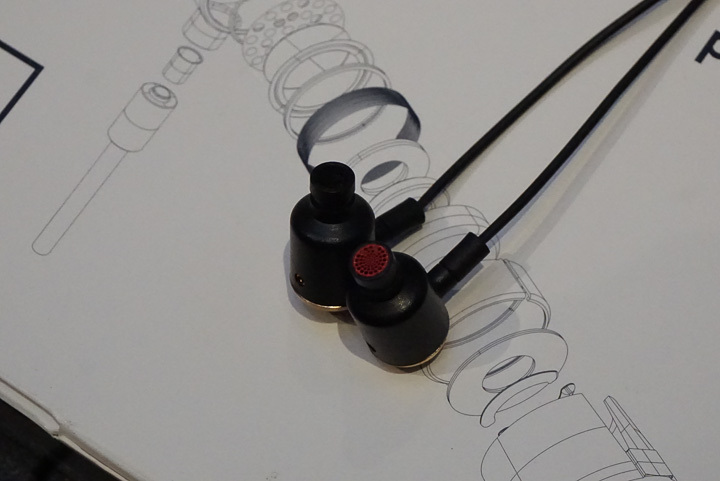 Periodic also showed running changes to its Be (Beryllium), Ti (Titanium), and Mg (Magnesium) series earphones. Individually, the changes might seem small, but taken collectively they make a good set of products significantly better. Specifically, the earphones use etched stainless steel earpiece enclosures, a new channel colour-coding scheme applied through electrophoretic deposition, all-new tangle resistant signal cables, and improved packaging. 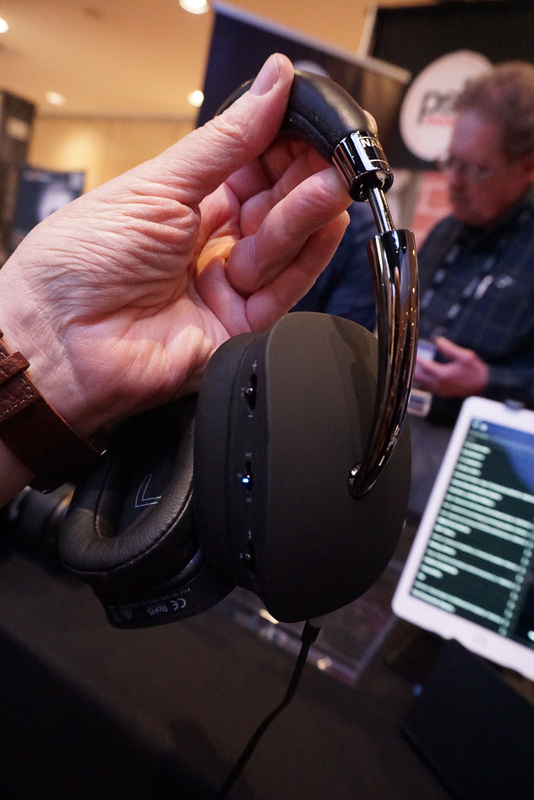 The Canadian firm PSB had shown its impressive new M4U8 headphone in pre-production forms at past shows, but CanJam NYC marked the first showing of the full production release M4U8 ($399). In essence, the M4U8 is a substantially updated version of the critically acclaimed M4U2, but with greatly increase functionality. Specifically, the M4U8 is, like the original M4U4, capable of being driven as a passive headphone or as an active self-powered headphone, but the M4U8 adds Bluetooth functionality and is equipped with an all-new, switch selectable automatic noise cancellation (ANC) system. While the core sound of the M4U8 is similar (though I would say somewhat better than) to that of the original M4U2, the new model’s amplifier sounds even clearer, its Bluetooth capabilities are exemplary, and—perhaps the biggest surprise of all—its ANC system, an analogue design implemented through an AMS device, is one of the very best I’ve ever heard. As a finishing touch, the M4U8 incorporates switch selectable room mics, so that users can suspend music listening temporarily, to participate in in-room conversations or to hear announcements in airports or train stations. In short, the M4U8 is better than the original M4U2, but sells for the exact same price.